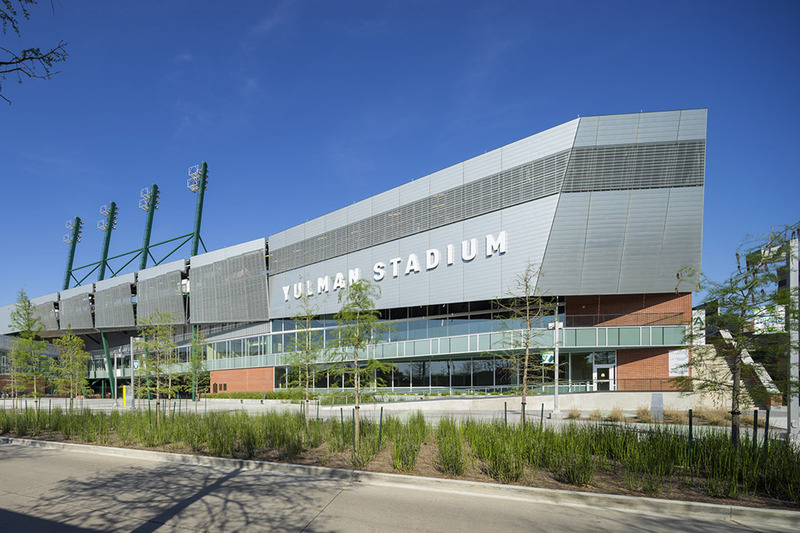 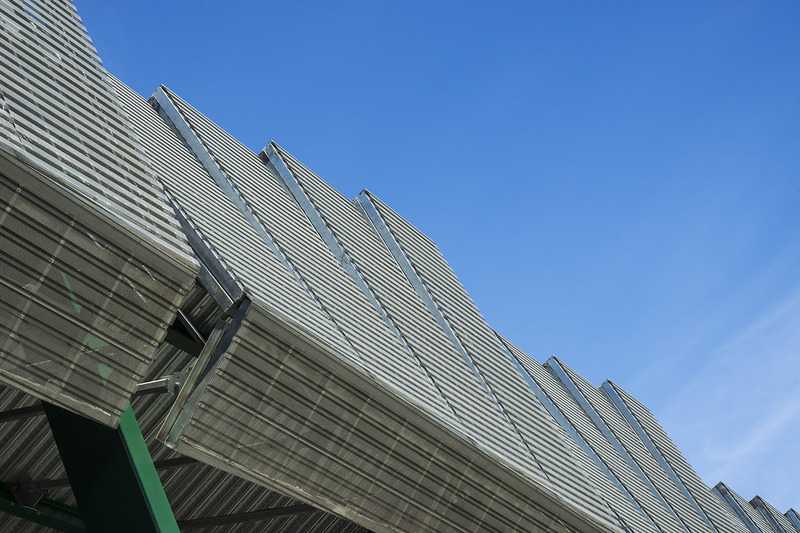 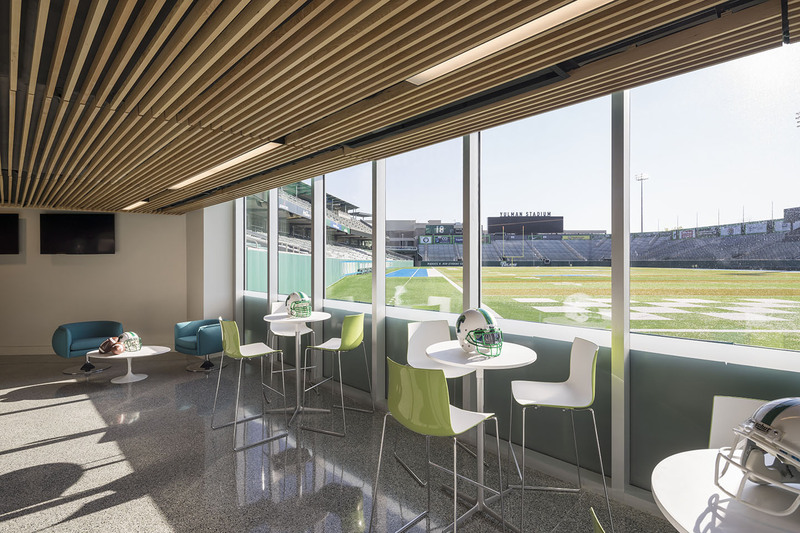 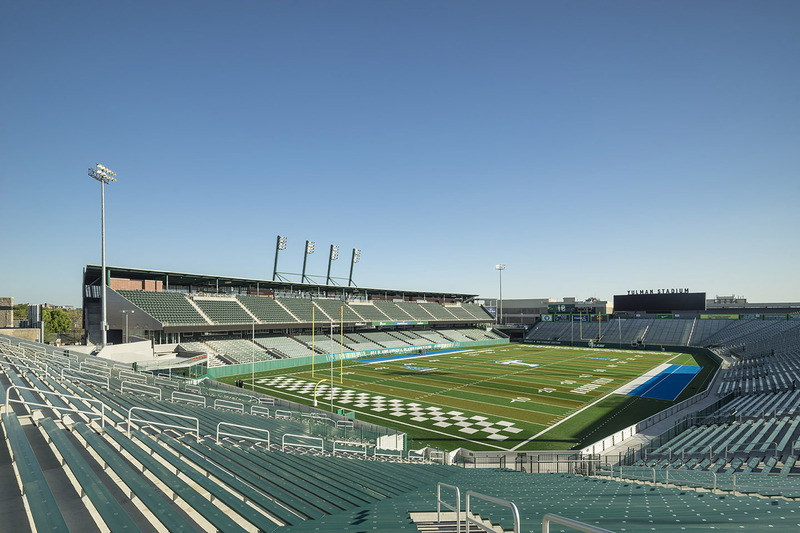 This new LEED Silver Certified football stadium occupies the site of a former practice field in the center of the Athletics precinct on the north edge of Tulane University’s main campus. 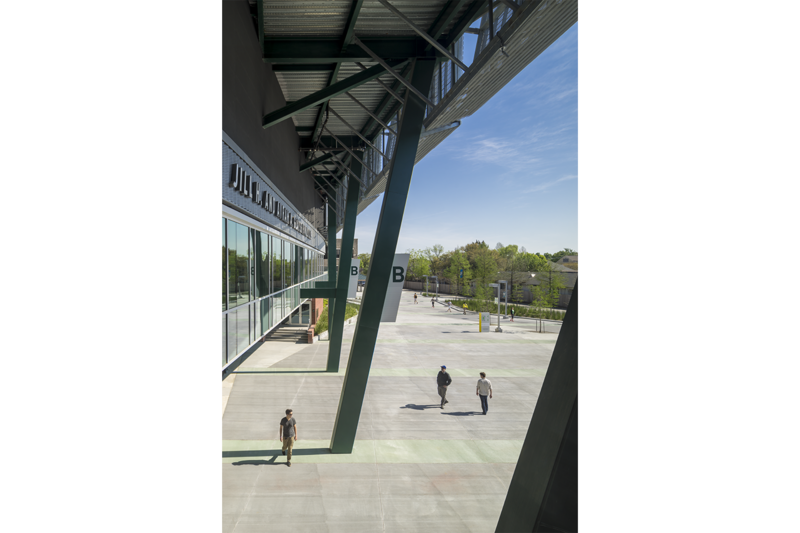 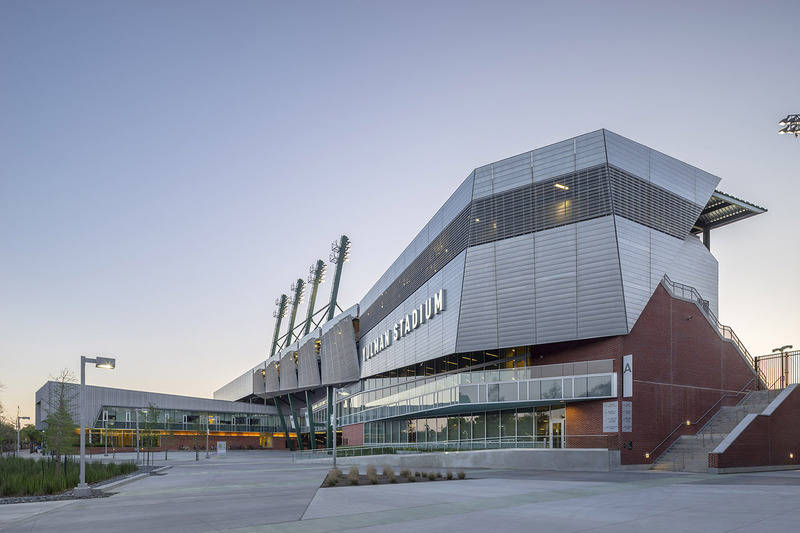 The stadium’s upper seating deck nestles above the Hertz Practice Facility, and the two structures form a contiguous façade that frames a new Athlete’s Plaza. 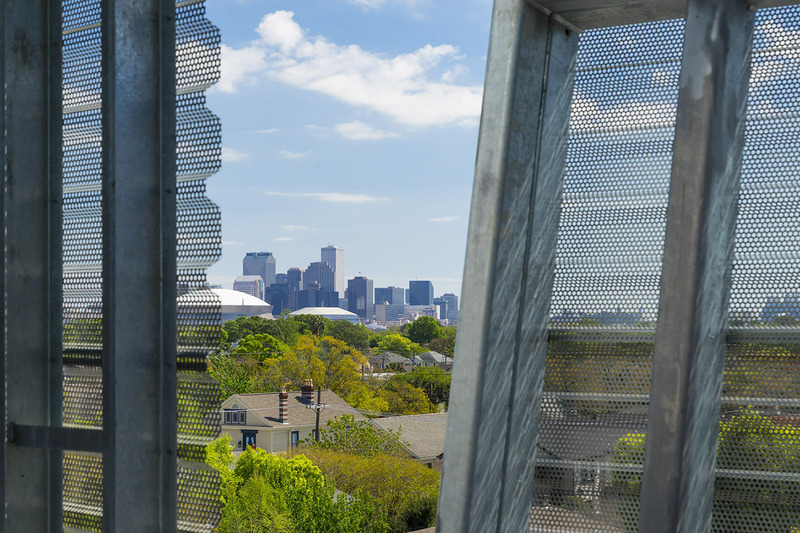 Building materials found throughout Tulane’s campus, including the familiar red brick, were used in the new structure as were remnants from the former Sugar Bowl Stadium. 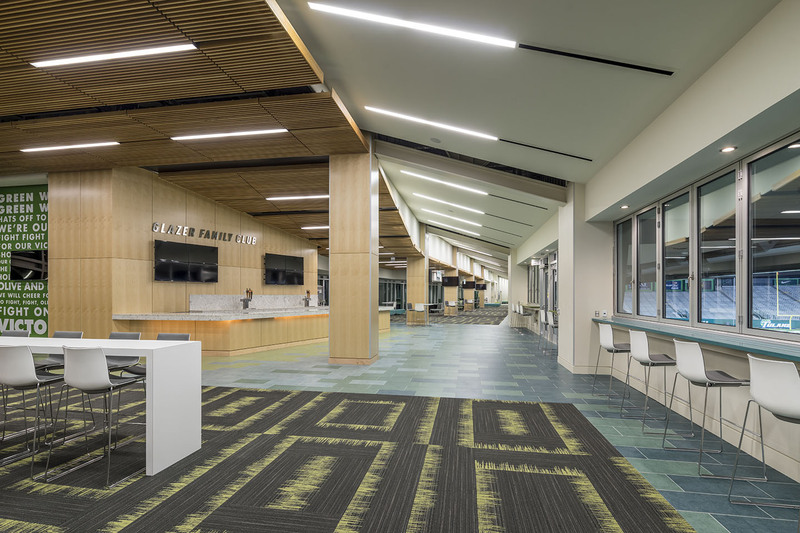 Lee Ledbetter & Associates were the local architects for the project, and as well as architectural services, provided FF&E selection for the clubs and suites. 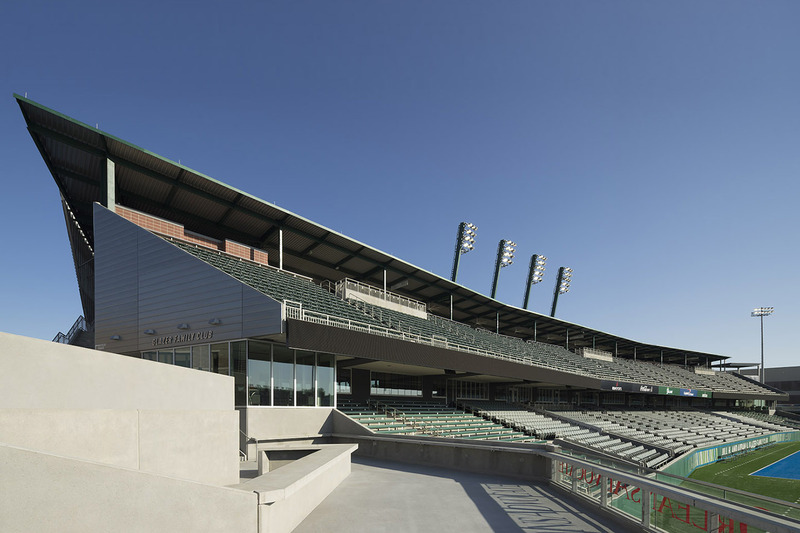 Gould Evans was the Architect of Record.